Whether you’re using your PC for work or play, you can find the right display in our extensive range of PC monitors. 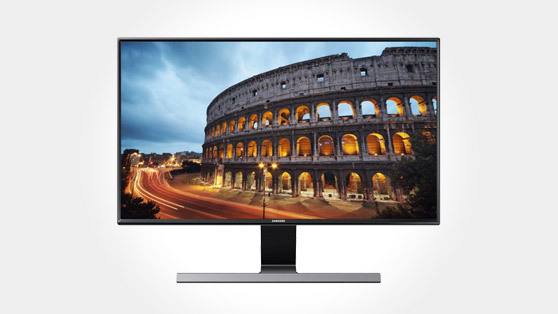 Watch movies or work on projects with a widescreen monitor, or take entertainment up a notch with the improved clarity of an Ultra HD screen. Gaming monitors feature lightning fast response times, which means you can easily keep up with the most intense on-screen action. We have a wide range of sizes, including widescreen monitors, which are perfect for creative projects. With a range of resolutions and a selection of discrete and stunning designs, you’ll be able to find the monitor to suit your needs. Our price promise means we won't be beaten on price, If you find Argos, Asda, John Lewis, Tesco or AO.com has the same product at a cheaper price, we'll match it - even up to 7 days after purchase. Plus, with our new price app you can compare the prices of thousands of products. It's easy to shop online, with our largest range of products available to order for delivery to your home or local store, plus Reserve and Collect from your nearest store within an hour. Gives you access to the latest model when you want it. You'll never miss out on a new release or hot-off-the-shell upgrade on tablets, laptops and TVs. Bring your unwanted electrical product into your nearest PC World store and we’ll take it off your hands for free, even if you bought elsewhere. With our Care Plan, we'll fix or replace if anything goes wrong. If your monitor is under £150, we’ll give you a new one on the spot.